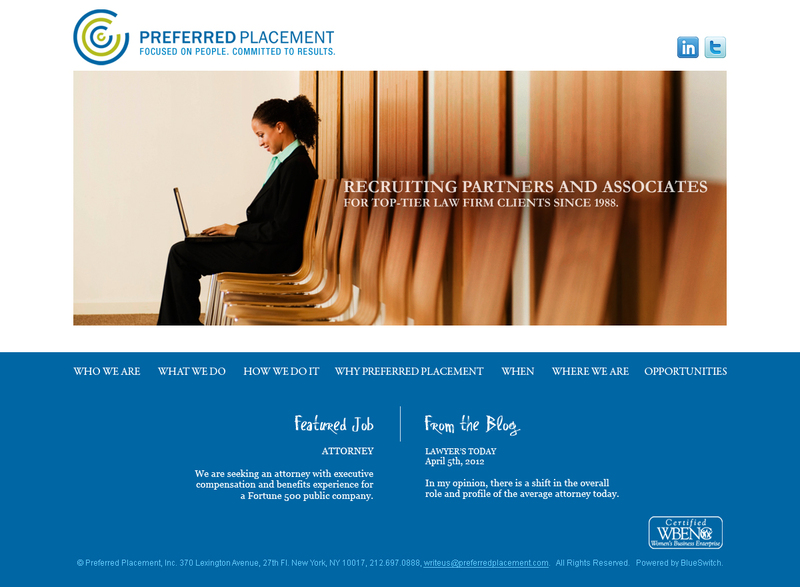 Preferred Placement Focused on People. Committed to Results. Please take a moment to surf around our new site. We hope you like it and find it easy to use. Please let us know your thoughts. Over the past twenty-five years, our business has continued to evolve. One of the goals of the redesign was to reflect these changes and additions. Going on 25 years, we've witnessed the ups and downs of the business market, and through it all, our placed candidates have thrived in any and all market conditions. These beliefs have given us unique staying-power in the rise and fall of the global economy. Our 25th Anniversary Brings a New Website, Tweets and a Blog…Oh my!